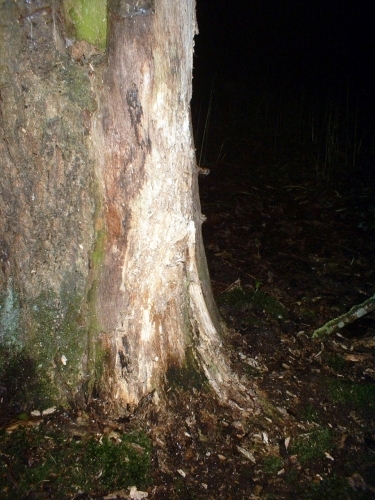 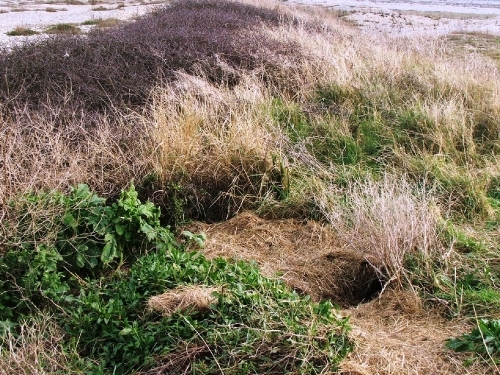 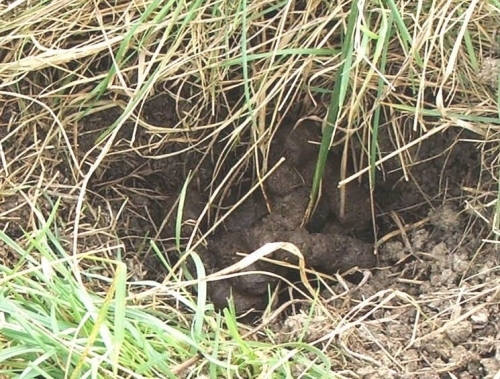 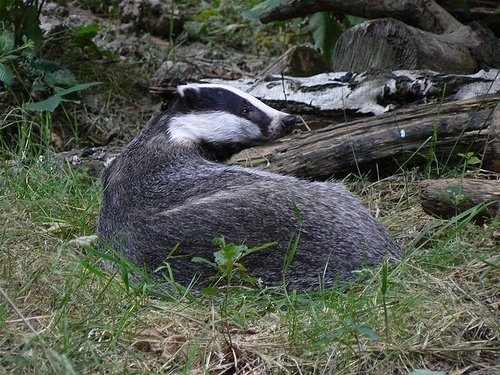 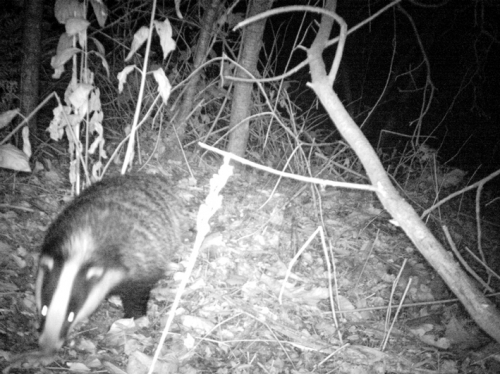 Badger sett Sett with discarded bedding. 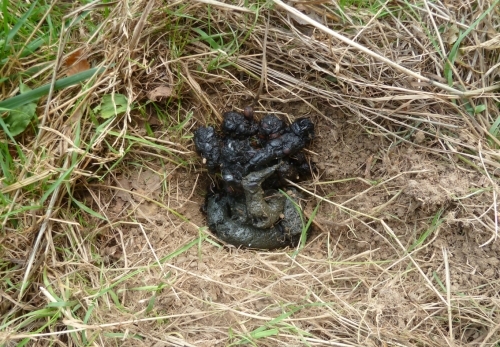 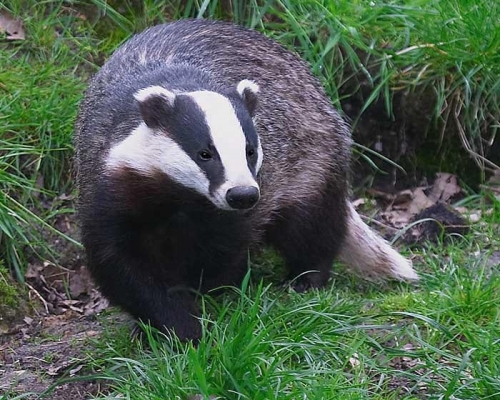 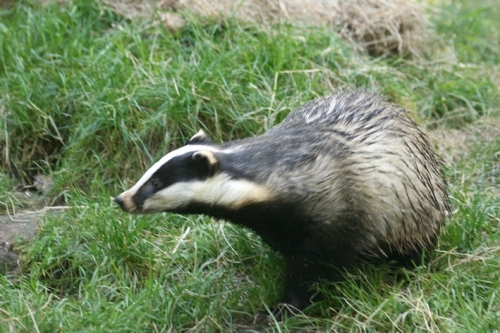 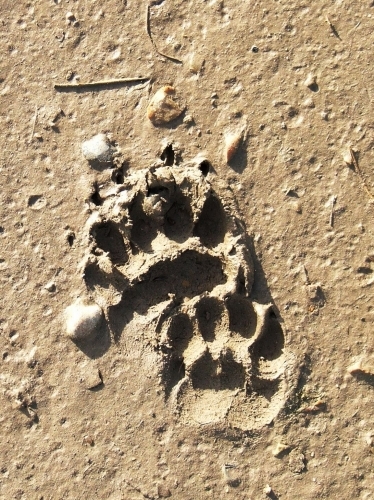 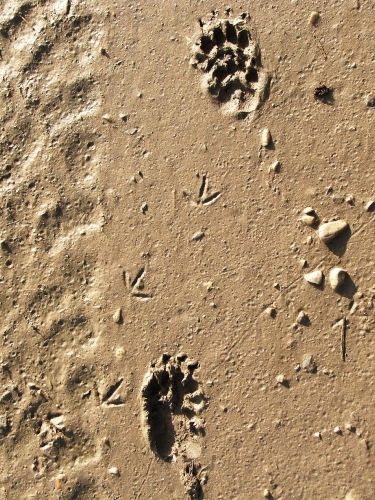 Badger tracks Prints in mud with hind feet registering over fore feet. 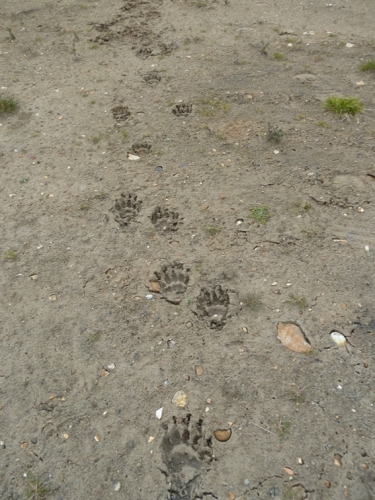 Badger tracks Enlarged view of right hind registering over right fore. 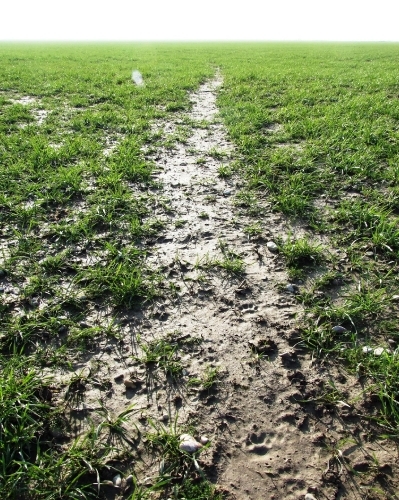 Badger tracks Badger path across field with tracks visible in foreground.